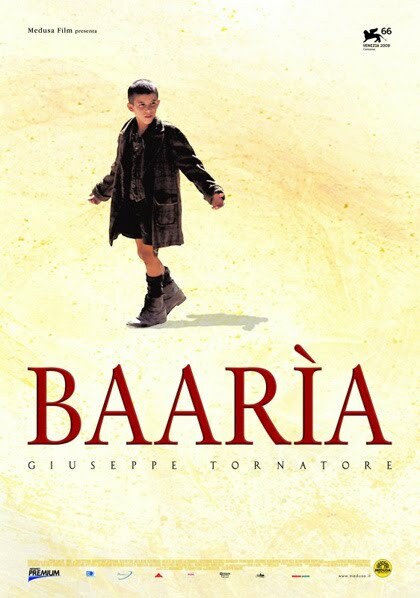 Giuseppe Tornatore’s Baaria is the story of the titular Italian town, through the eyes of community party activist Peppino (Francesco Scianna). It takes us from his pre-war childhood to the moment, around half a century later, when his son leaves home to make his own way in the world. That’s a lot for one film to cover, even a very long film like this, and it’s not a great success. A succession of often disconnected scenes and incidents take us through the decades, but feel largely isolated from those around them. The effect is to reduce the likelihood of becoming emotionally involved with any of the characters. Worse, the whole film is unashamedly nostalgic – even political corruption and mafia violence is seen through the glow of rose-tinted spectacles, and lovingly coated with Ennio Morricone’s strings. The fact that the narrative doesn’t take us up to the present day (not that I’m asking for another half hour…) implies these are problems that belong in Italy’s past. Watch any half hour of Baaria and you’ll get a generous handful of scenes and sketches, any of which are perfectly watchable on their own merits, along with some lovely images of Italian countryside. Sadly, all these moments combined add up to little more than two and a half hours that you’ll never get back. This entry was posted in Reviews on July 17, 2010 by Gareth Negus.